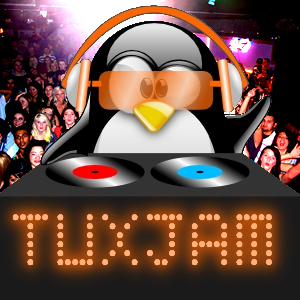 Here is another helping of TuxJam with Dave (aka thelovebug), Andrew (aka mcnalu) and… an empty chair! Worry, not Kevie is just busy and will be back next time. Our depleted duo will do their best to take you on another tour of free and open source software and creative common tunes. We start, as always, with a glance down the latest releases on distrowatch. Andrew and Dave take a look at MikeOS and MichalOS. MikeOS is a lovingly crafted and documented operating system which demonstrates that it is still possible to go low level and hug your hardware. If you seek a book on assembler then you might like to grab this Humble Book Bundle: Linux by Wiley. Hurry though as it ends 25 March 2019. Next up, Andrew recounts his experience with the motion detection software called Motion on the Raspberry Pi. Want an inexpensive security or wildlife imaging station over which you have maximum control? Look no further. But please do listen further and hear Dave’s review of OwnTracks which not only helps you track your position with GPS but also keeps track of your data and keeps it out of the mysterious clouds controlled by big companies such as Google. Finally we were delighted to get this detailed Twitter response from Haiku developer @waddlesplash with answers to points we raised in TuxJam 72. Although couched in admirably polite terms he is quite rightly suggesting that your hosts could have benefited from a bit more RTFM.